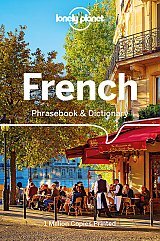 Lonely Planet French Phrasebook & Dictionary is your handy passport to culturally enriching travels with the most relevant and useful French phrases and vocabulary for all your travel needs. Ask about tucked-away vineyards, bargain with local famers at the market or order wine like a professional; all with your trusted travel companion. With language tools in your back pocket, you can truly get to the heart of wherever you go, so begin your journey now!